A not-so-quiet revolution seems to be occurring in wealthy capitalist societies - supermarkets selling ‘guilt free’ Fairtrade products; lifestyle TV gurus exhorting us to eat less, buy local and go green; neighbourhood action groups bent on ‘swopping not shopping’. And this is happening not at the margins of society but at its heart, in the shopping centres and homes of ordinary people. 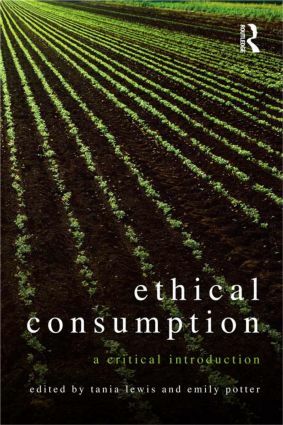 Today we are seeing a mainstreaming of ethical concerns around consumption that reflects an increasing anxiety with - and accompanying sense of responsibility for - the risks and excesses of contemporary lifestyles in the ‘global north’. Tania Lewis is a Senior Research Fellow in the School of Media and Communications at RMIT University, Melbourne. She is the author of Smart Living: Lifestyle Media and Popular Expertise (Peter Lang, 2008) and editor of TV Transformations: Revealing the Makeover Show (Routledge, 2008). She is currently conducting research on sustainable lifestyles and green citizenship, and is a chief investigator on an Australian Research Council-funded project (2010-2013) examining the role of lifestyle advice television in shaping social identity and consumer-citizenship in Asia. Emily Potter is a Research Fellow in the School of Communication and Creative Arts, Deakin University. She is co-editor of Fresh Water: New perspectives on water in Australia (Melbourne University Press, 2007), and has published widely on questions of culture and the environment.